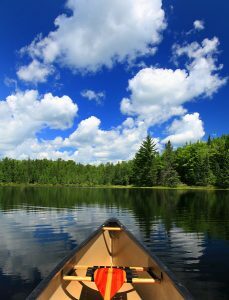 You are invited to attend our annual spiritual retreat and renewal weekend which will take place at Gail and Ken Cole’s home in Deep Lake, Wisconsin, September 8-10. We are excited to have Rev. Theresa Uber as our facilitator again this year. Our theme will be “Finding Joy in a Real Life”. Come join us as we really lean into the light. Let’s explore how we can create more joy and more happiness in our lives. If you would like to do some advance reading, we recommend “The Book of Joy” by the Dalai Lama and Desmond Tutu, which was released last year. The weekend will include presentations and discussions, worship and prayer, good food, good fun, and creative activities. It’s a great opportunity to relax, unwind, and learn and grow spiritually. Advanced registration is requested so we can plan accordingly. Cost: $45/person for the weekend includes programing, 2 nights lodging and 5 meals. Sign-Up: let us know your coming. Complete online registration here. Or fill out paper registration available at church & place in Martha’s church office mailbox. Help with Meals: let us know if you can bring a breakfast casserole, soup, salad, or shop for ingredients. You will have an opportunity to sign-up to help with meal prep/clean up when you arrive. Payment: follow up with me after church or place your payment in Martha’s church office mailbox. Make checks payable to “GNC Theta Alpha” (write “Women’s Retreat 2017” in the memo). Deadline for registration is Friday September 1st. Rev. Theresa Uber bio: Theresa was a long time resident of the Glenview congregation from 1979 – 2002. Theresa graduated from The New Seminary for Interfaith Studies in 2014 and was ordained that June. Theresa is married to Ned Uber and lives in Pittsburgh. When she is not taking care of her two grandchildren, she serves as one of the chaplains at the East End Cooperative Ministry working with the underprivileged and homeless in the East End of Pittsburgh.